I want to thank the Centre Daily Times for having the courage to print my letter to the Editor. It is repeated in full below. Their View: Are Centre County judges making court unaccountable? These famous words of Thomas Paine ring loud in the context of the litigation initiated by Centre County Court of Common Pleas Judge Jonathan D. Grine. Grine filed an emergency motion to remove beyond public inspection and seal from public knowledge or scrutiny his court filings in a case in which he was the plaintiff. This request was granted and an order was issued by a senior judge in Grine’s jurisdiction without notice to us or an opportunity to be heard. At the very least, this action, now unsealed, calls into question his actions. This publicly elected official — this politician — was not satisfied merely with trying to sue other publicly elected officials and us in total secrecy. He sought and was granted an emergency injunction that forbids The McShane Firm, attorney T.C. Tanski and the county from discussing or publicizing what, if anything, was released by the county to us pursuant to our lawful Right-to-Know request. Judges are human beings. All judges are subject to the same human emotions that all of us have: fear, embarrassment and anger. Some may even seek revenge. But where there is a great public need to speak truth to power, I and the members of my firm will not be silenced. In speaking up, there will no doubt be punishment to me and my firm. Perhaps Grine or another judge will seek to have me held in contempt for political free speech. Perhaps the judge will report me to the Office of Disciplinary Counsel for what is clearly protected political speech. Perhaps the elected district attorney or others in her office will seek to have me arrested. We shall see and, if so, I will wear it as a badge of honor. The people of Centre County should be concerned about the actions of those in the criminal justice system. Grine has said he is suing to protect the integrity and independence of the court. His actions perhaps show otherwise. Filing secret lawsuits, enjoining lawyers from doing their jobs and from using information gained lawfully to fulfill their ethical duties to request an investigation of wrongdoing (if there is any) to the Office of Disciplinary Counsel and/or the Board of Judicial Conduct (if warranted) and using threats of jail and fines through contempt powers certainly does not promote public accountability for publicly elected officials. The questions that exist based on public court filings and as covered by the media in relation to Judge Bradley P. Lunsford’s contact with members of the DA’s office can and should call into question the integrity and independence of the court. President Judge Thomas King Kistler wisely responded by ordering the judge removed from handling criminal cases. According to media reports, the DA’s office and Lunsford have claimed that these communications are innocent and permitted. They have claimed that they concern the execution of search warrants and personal matters. If so, and those involved in all of this truly seek to protect the integrity of the court, then a full disclosure of the content of the communications is in order. As court filings show, these communications are now approaching one or more years old, therefore it would be a dubious claim that such a disclosure would place criminal investigations in jeopardy. And identifying information can easily be redacted. Full disclosure of content is a simple solution to this problem. They certainly are. A public office, especially that of judge, is not a job; it is an opportunity to do something for the public. If Grine truly wants to restore the integrity of the court, the best thing he can do is make public his actions — past, present and future — and welcome public accountability for those actions. If he truly wants to restore the integrity of the court, he would discontinue his secret lawsuit and disavow his unprecedented remedy. That would be doing something for the public. If he continues to think his attempted secret lawsuit and seeking to enjoin lawyers from their sworn duty to uphold the Constitution is reflective of judicial values, perhaps he should resign and shrink away into a life where he no longer has to worry about his actions being called into account. Justin J. McShane is chairman and CEO of The McShane Firm, of Harrisburg, which, along with attorney T.C. Tanski, is named in Judge Jonathan D. Grine’s lawsuit. Motion to Seal the case of Jonathon Grine v. Centre County, et. al. Complaint in the case of Jonathon Grine v. Centre County, et. al. Plaintiff’s Petition for Emergency Injunction and Preliminary Injunction in the case of Jonathon Grine v. Centre County, et. al. Order granting a seal on the entire case of Jonathon Grine v. Centre County, et. al. Order granting the Emergency Injunction in the case of Jonathon Grine v. Centre County, et. al. Plaintiff’s Motion to Unseal the case of Jonathon Grine v. Centre County, et. al. Order Unsealing the Matter of Jonathon Grine v. Centre County, et. al. T.C. 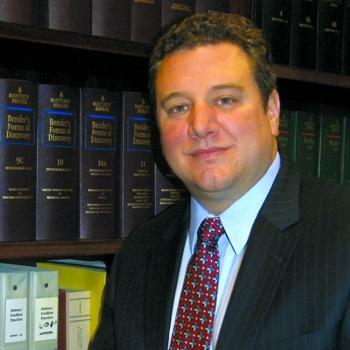 is the firm’s appellate and post-conviction attorney. He uses trials’ errors to fight unfavorable verdicts and investigates post-conviction cases for legal error, ineffective assistance of counsel claims, and/or prosecutorial and judicial misconduct. If there is a “breakdown in the judicial system” because of unethical or inappropriate behavior by the government or the judicial system, he is not shy in asserting your rights to get you the justice that you should have received the first time. T.C. wields two weapons: (1) his unrivaled legal writing skills; and (2) his authoritative presentation at oral argument. He uses his skills to persuade appellate judges and justices with logical, persuasive, and winning arguments. To make things even more bizarre, the Elected District Attorney filed a totally abnormal lawsuit that reads like a crazy person who is facing a 302 Involuntary Commitment hearing would have wrote it. It is full of conspiracy theories, and really odd comments. Her tinfoil hat must be on too tight. These are verified accusations by the sitting elected District Attorney. One who has the power over the death penalty. Yet, she believes that there is an orchestrated core of people who are out to get her, and ruin her. I would dismiss it as farce or satire, but it was filed in court. I have never met Stacy. I hope to never meet her. Certainly questions of mental stability are in order as these are her verified beliefs. Perhaps there is evidence of a lack of capacity to exercise self-control, judgment and discretion in the conduct of their affairs and social relations.